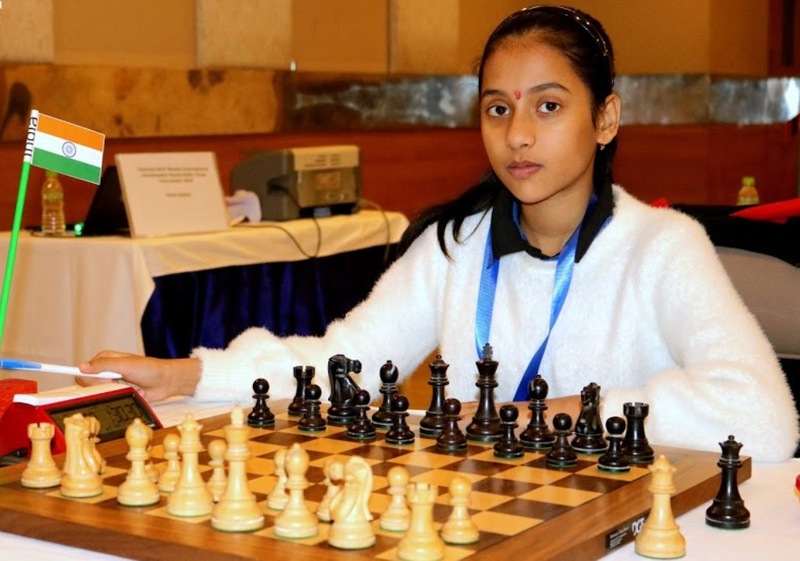 Woman International Master Divya Deshmukh snatched the sole lead with 4.5 points after the sixth round of the Velammal AICF Woman Grandmaster Round Robin Chess tournament 2019 held at Hotel Abu Sarovar Portico, Chennai here today. Two wins on a double round day – against Varshini V & Franco Valencia Angela – propelled the Nagpur girl to sole lead. 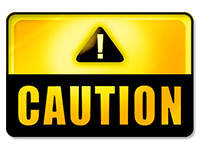 Following Divya behind at 4.0 points were Osmak Iulija & Babiy Olga (both Ukraine) and Michelle Catherina (India). 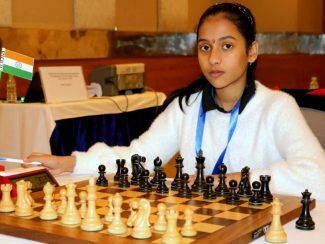 Former World Under 12 Champion Divya Deshmukh consolidated her WGM Norm prospects with a fine win over Woman International Master Franco Valencia Angela of Columbia. Giving up her queen for two rooks, Divya swung her pieces with elan catching the back-rank with a vice like grip. Facing mate and multiple piece loss, Angela resigned on the 37th move. In another interesting game, leader Michelle Catherina went down to Kazakh girl Nakhbayeva Guliskhan. The Nimzo Indian game saw Michelle allowing an extended liberty to Nakhbayeva, who swept through the king-side with her pawns and sewed up the game in 46th turn. Five more rounds remain for the Indian Woman Grandmaster Norm seekers to push strong, steady and achieve their dreams.